Susan has lived in Auckland for 10 years. 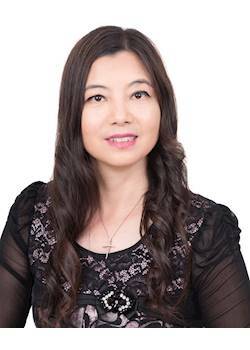 She obtained a Bachelor of Arts from China and was an Associate Professor of Journalism in China. She then graduated Bachelor of Business majoring in Accounting from Auckland University of Technology (AUT). She has demonstrated high Interpersonal, intercultural and business skills during her career. Susan owned and operated a small business, learned Hospitality and Accounting in New Zealand also worked in different roles including sales. She has exceptional customer service and sales skills, professional knowledge & experience of business analysis. With her wealth of knowledge and experience she can help both vendors and purchasers to achieve the best possible outcomes. She can speak English & Chinese (native Mandarin speaker). She is Highly organised & motivated.